For all the auto lovers out there, who love to judge the car with its wheelbase, here is what I give to you: the Land Rover Defender 2013 model; designed to admire! In crave to reach the markets, the famous ‘off-road’ car maker Land Rover has created something that looks more like an army vehicle. The extremely muscular looking Land Rover Defender is the latest in the clan of the ‘defender series’ launched early this year. If you are one of those who’s jaw just drops seeing the masculinity of cars, Defender will be an eye candy for you. Designed somewhat into a prototype of an army jeep, the auto has huge Chassis. The engine is well raised above the ground with tires sizing 15 inches. If we look at the changes that have been brought in the exteriors of car, we will find that two more color options have been made available - Havana and Borolo black while for the roof color, the number of options have been raised to four. The rugged look has continued to be the major eyeball collector while the color variation has imparted it a ‘clean’ class. Seats have been lined with leather with an option available for custom design, which includes premium leather seats. As heard from the officials, not major changes have been brought inside the wagon except for the introduction of 2.2 L engine instead of the 2.4 L used in the models released earlier by Land Rover. 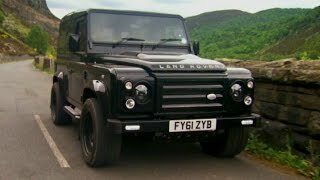 With 2.2 L engine ‘the machine’ is expected to deliver 120 horsepower, which is capable of running the Defender 2013 at the fastest speed of 90 mile per hour. It just takes 14.7 seconds for Defender to reach from 0 to 60 mph. There are six gears with manual control. Moreover, optimum mileage has been a factor into consideration this time. 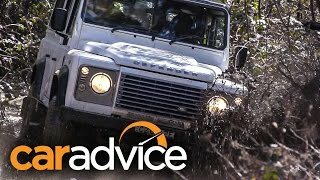 Defender will feature a speed control technique for those who have fuel consumption issues. In addition to this, one will find an Alpine sound system installed along with the automatic weather control. 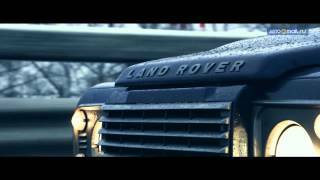 Land Rover has been famous for its cars that have the capability to transverse almost every terrain on this planet. Irrespective of the region you are traveling through, the company promises you utmost comfort and optimum performance. 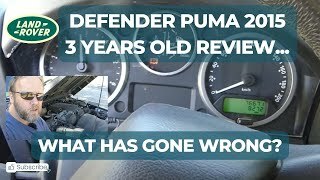 To keep the legacy going, Defender has too been made ready for an ‘off-road’ trip. The wheelbase has been widened with extra torque, so that Defender can perform some heavy-duty operations too. This automobile is apt for those who seek to customize their drive extensively as per as their specifications. Land Rover Defender model brings with it excellent entertainment setup and premium seat covering. The speed limiting options provides the users to monitor the fuel consumption completely. 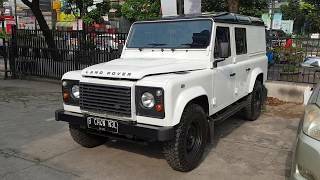 Land Rover Defender 2013 is the other name for luxury and personalized comfort. With its impeccable interiors, this automobile is full of class. If you look at the competition, Mercedes is always there. Though the G-class is missing changes since inception, ‘class’ has kept its sale on-going. UK will be the first to witness this ‘Man Machine’ on its roads and the opening prices are expected to be £27,995, or $43,445.